Image Studios 360 was founded by brothers Jason and Shaun Olsen in 2010. After working together successfully for years as partners in the auto industry, the Olsen brothers recognized a need in their area for a salon suite business. After consulting with multiple stylists about best practices, the Olsens developed a completely innovative salon space, ideal for stylists and owners alike. 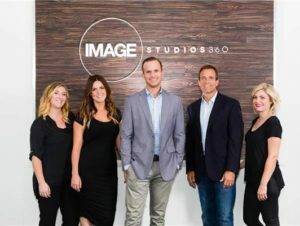 Image Studios 360 owners acquire a large retail space, around 5,000 square feet, and then build 28-32 salon studios in that space. Each of these smaller studios is then leased to different beauty professionals such as hair stylists, estheticians, nail techs, and massage therapists. These beauty professionals are free to then operate their own business within their studio. 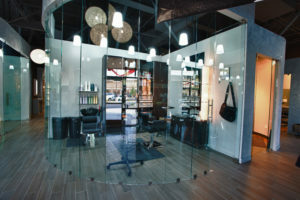 Image Studios 360 owners provide the space, opportunity, and stability for beauty professionals to do what they do best. The Olsen brothers were able to start franchising Image Studios 360 in 2015, just 5 years after starting the business. Image Studios 360 is a simple, stable and scalable franchise. The franchise has been successful as a mini-mall of salons because of strategic marketing, brand appeal, ongoing training and education programs, and the Image Studios 360 operating system. With the support of corporate, Image Studios 360 franchisees are able to keep their studios fully leased and to in turn receive a predictable and stable cash flow. This consistency allows franchisees to focus on growing additional locations or even to pursue other interests. Corporate offers franchisees six weeks of virtual training before getting the franchise off the ground. Once the salon studio is up and running, franchisees participate in monthly conference calls in order to continuously grow and improve. An ideal candidate for an Image Studios 360 franchise would be a business savvy individual with strong management skills. First-time business owners and experienced investors alike are welcome at Image Studios 360. Franchisees looking for semi-absentee or passive ownership would be a good fit, although the first several months the Image Studios 360 studio is open, the business owner would certainly need them to be more involved in the business. The salon studio owner would be able to ease into semi-absentee ownership over time. Interested candidates must have a minimum net worth of $500,000 and liquidity of $300,000. They should be someone who enjoys the stability and strength of the beauty industry as well as the reliable rental income from the Image Studios 360 business model. The Image Studios 360 system will equip and assist franchisees toward a successful operation. Image Studios 360 provides new franchisees the opportunity to own their own business by providing a stable, innovative, and fun location for beauty professionals to run their own salons.